With up to 30 hours of battery life, you can listen to your favorite audio all day with the green LIVE 500BT Wireless Over-Ear Headphones from JBL. 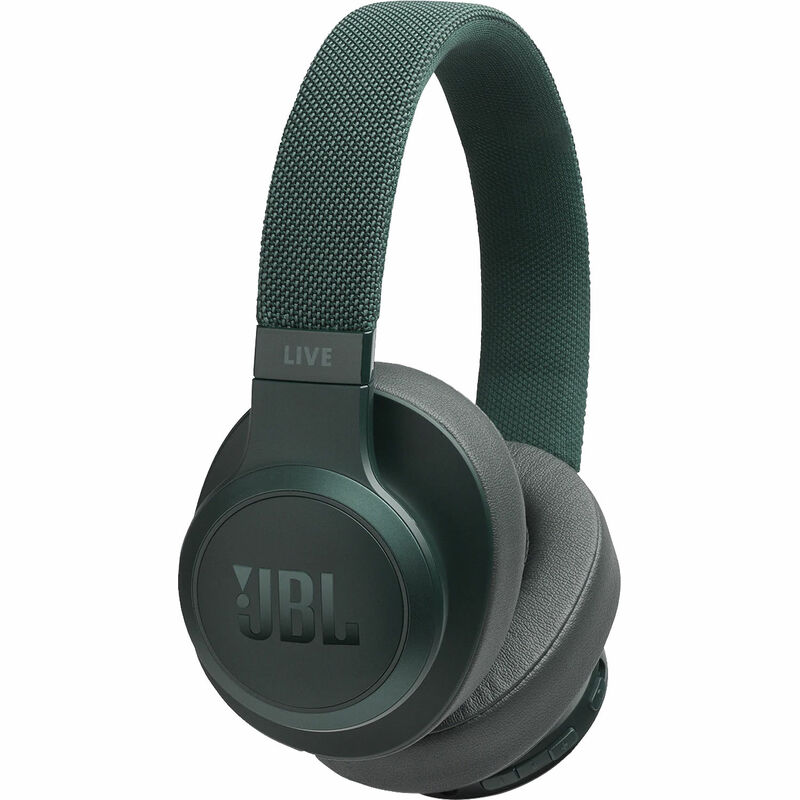 Your favorite music is streamed via Bluetooth wireless technology through 50mm drivers that deliver JBL's Signature Sound. Thanks to multi-point technology, you can pair the 500BT over-ear headphones with up to two devices, such as a smartphone, tablet, or laptop, and easily switch between the two when you want. Box Dimensions (LxWxH) 9.2 x 9.1 x 2.9"